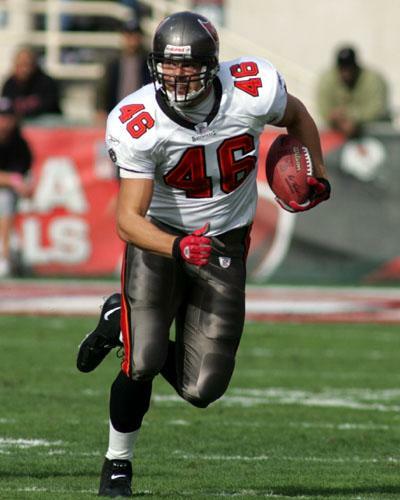 One of the most incredible stats in Buccaneer history is held by Danny Reece who played the first five seasons for the franchise. 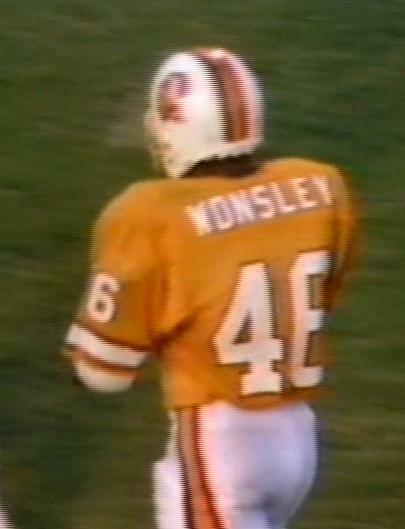 In 1979, he returned 70 punts and only had one fair catch. The following year, it was 57 and one. The guy must have had a death wish or nerves of steel. Compare that with Tim "I'm waving for a fair catch before he even punts the ball" Brown. 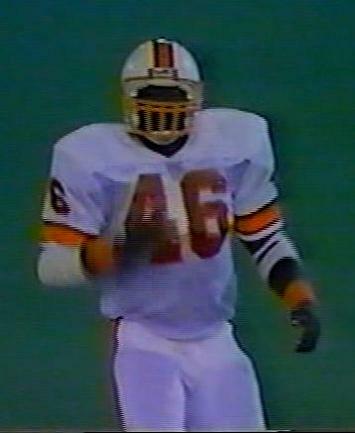 Adger "Lead Dog" Armstrong was James Wilder's faithful blocker for three seasons and Nathan Wonsley came from nowhere in 1986 to replace the injured Wilder before sustaining a broken neck on special teams that ended his footballing career. 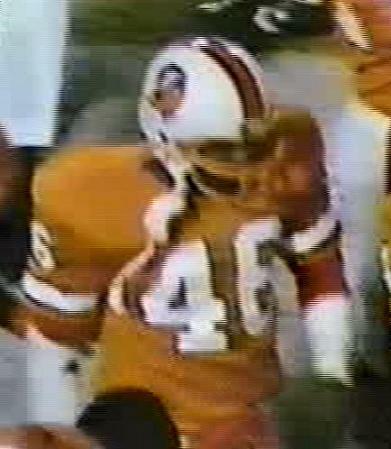 Vince Workman came from Green Bay in 1993 but flattered to deceive and Tim Ryan's brief appearance in this number came when Sam Wyche used him as an extra tight end and didn't want him to keep reporting as eligible from his normal No.64 shirt. 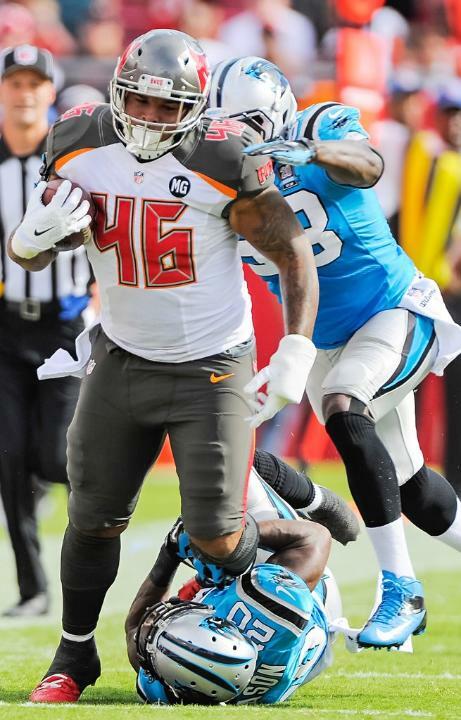 Of the most recent players, David Gibson managed to wear both 22 and 34 in addition to some games in the 46 jersey, Nate Lawrie was nothing more than a back-up, Blue Adams was a special teams' demon and Christian Yount handled the long-snapping whilst Andrew Economos was on the PUP list. The last three players to wear the number have been full backs and it does seem as this is the future position area that will be seen in the future.